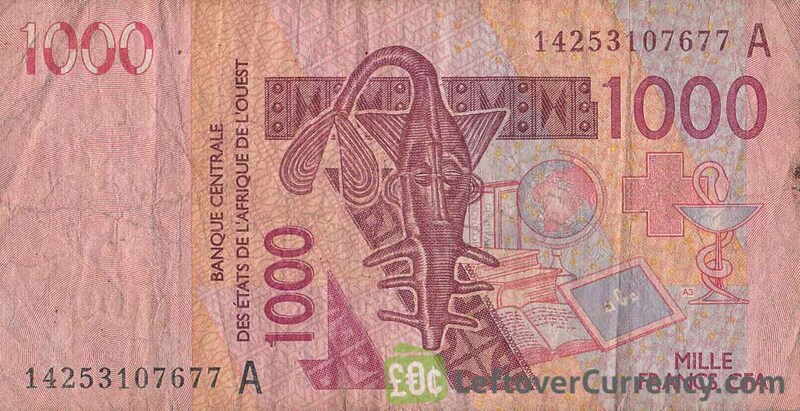 Convert your leftover current West African CFA franc banknotes to cash using our hassle-free online exchange service. 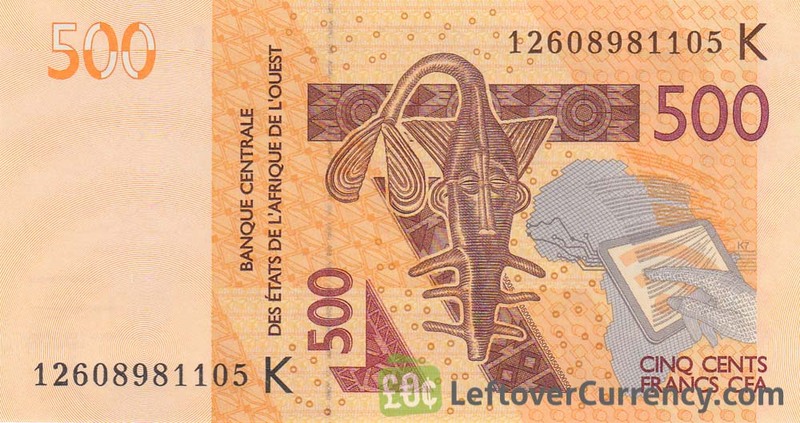 Get paid fast for your unused currency from West Africa. 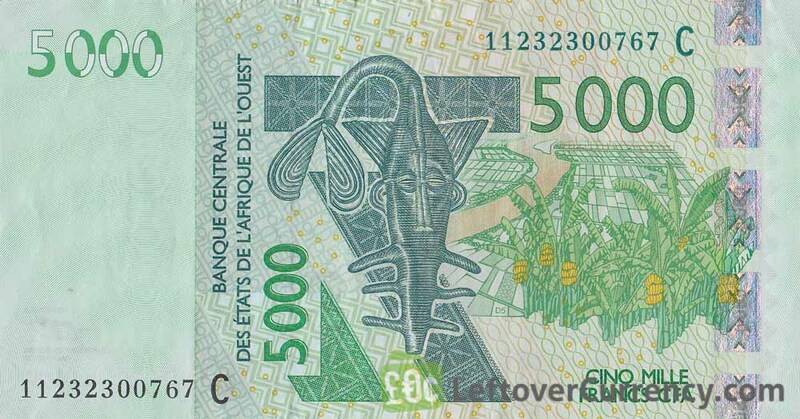 West African CFA franc banknotes are issued by the Banque Centrale des États de l’Afrique de l’Ouest, based in Dakar (Senegal). They are used as a means of payment in eight West-African countries. It’s not easy to exchange CFA West African francs outside Africa. 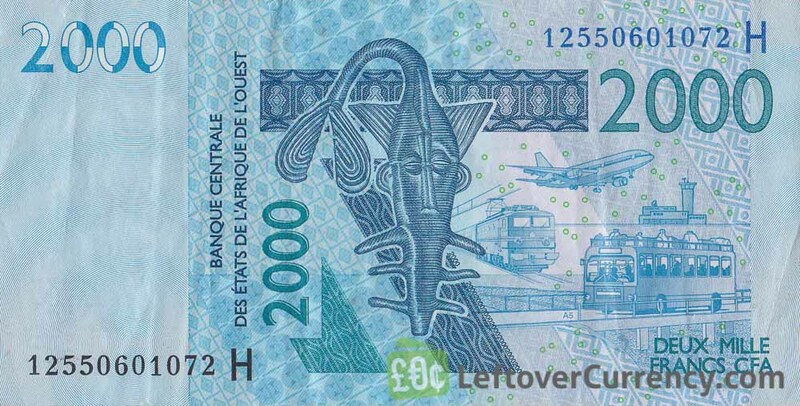 At Leftover Currency we exchange CFA francs from West Africa, both current and withdrawn CFA franc banknotes. 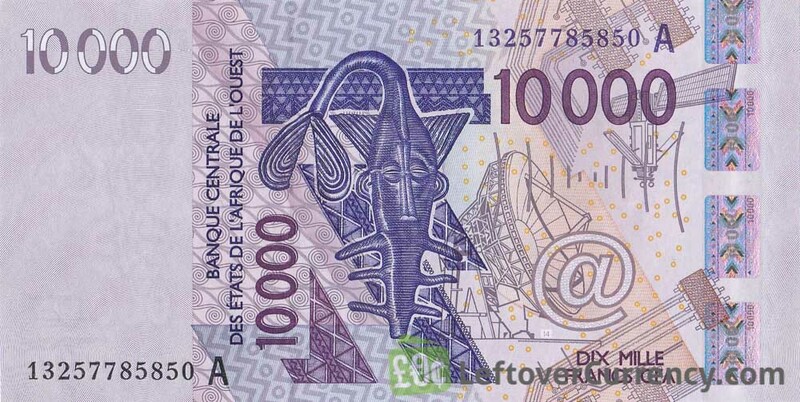 Do you have current West African CFA franc banknotes like the ones in the pictures below? Add the amount you want to exchange to your Wallet. You'll see exactly how much money you'll get for your CFA francs West Africa. Click on the Wallet symbol to complete checkout and get paid within 5 days of receiving your currencies.